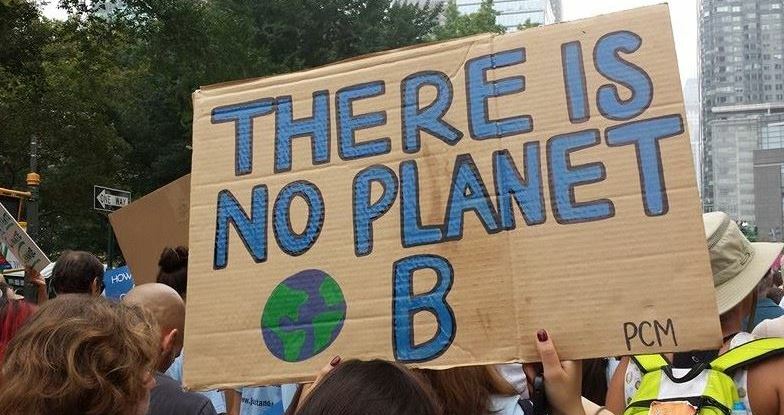 2014 turned out to be a momentous year for the climate protection effort, culminating in the historic march on September 21 in New York City that brought more than 400,000 people, including many from Tompkins County, to join in a demand for action from world leaders. The news on November 12 that the U.S. and China, which together account for 45 percent of global greenhouse gas emissions, had struck a deal to limit these emissions suggested that perhaps they were listening. Then, on December 17, Governor Andrew Cuomo announced that his administration would ban fracking in the state largely because of concerns over risks to the public’s health. The watershed decision came after years of citizen activism insisting that the state should leave its considerable fossil fuel reserves in the ground because of the threats fracking posed to the air, water, and soil of its communities. The call for leaving carbon in the ground also came from a rapidly growing divestment movement. Beginning with students at U.S. colleges and universities, the movement soon encompassed, among others, higher education institutions in Scotland and Australia as well as the Rockefeller Brothers Fund, the World Council of Churches, and Ithaca’s Park Foundation. As a result of this campaign, according to Fossil Free, more than $50 billion in assets have been divested so far. Building on this momentum, 350.org and its partners have begun organizing a Global Divestment Day for February 13-14, 2015. Stay tuned. At the same time, renewable energy rapidly gained traction throughout the world. As the year wound to a close, reports out of Germany indicated that the country had generated a record 25 percent of its electricity from renewable energy sources during 2014, with wind and solar leading the way. On May 11, almost 75 percent of Germany’s overall electricity needs were met by renewable energy. In Rebecca Solnit’s words,”It’s hard to see how we’ll get there from here.” But, she notes, that’s how it felt to lots of ordinary 18th-century Europeans when they contemplated overthrowing the divine right of kings and becoming citizens rather than subjects. It takes sustained, concentrated effort on the part of lots of people working together to create a new reality. Closer to home, Cornell’s purchase of community-owned wind power, the doubling of residential solar power in Tompkins County, the growing recognition that economic development and greenhouse gas emission reductions are not mutually exclusive, and new initiatives to make our commercial buildings more energy efficient all serve as examples of how to build this new reality. May those examples continue to multiply and grow in 2015.